Men, women, full and part-time staff, faculty, and students are all encouraged to join NMC Softball. 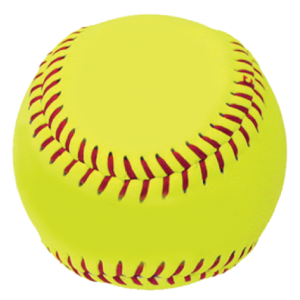 We are putting together a co-ed softball team to play on Sundays (afternoons or evenings) this summer (May-Labor Day) at the Civic Center. The YMCA league we are playing in is recreational: winning is nice, but having fun is imperative. If you have any interest or know anyone NMC affiliated who might be (full or part-time staff, faculty, student) please let us know. Contact either Eric Hines (ehines@nmc.edu) or Neil Streeter (nstreeter@nmc.edu). There is a cost for team registration which we will be dividing up among the team members (we anticipate a fee of less than $50 for a full season of play). Please let us know of any interest as soon as you can! April 4, 2018 was National Walking Day, but you should consider adding walking to your daily routine all month. This is a great chance to get outside and connect with your friends and family. During April, we’ll provide weekly information to show you how walking can help you meet your 2018 health goals. The faster, farther and more frequently you walk, the greater the benefits. Making lifestyle changes can take time. You can find more great information by logging in to your member account on bcbsm.com or through the Blue Cross mobile app and clicking on Health & Wellness. You can also email our Blue Cross® Blue Shield® of Michigan wellness coordinator, Chris Barr, at cbarr@bcbsm.com. It is not too late to register a team- you have until April 13! This registration reflects March 5, 2018, so time to add to your existing teams! Kudos to Nancy Gray: Nancy has served several years as the Chair of Faculty Council. As a member of the communications faculty, she has modeled all of the varied communication skills to lead the faculty and collaborate with all of the other employee and learner groups. At times, Nancy’s work as Chair of FC has been exhausting…both physically, spiritually and emotionally. She’s been a tireless leader; always learning and including others in the process. When NMC really needed her, she said yes. With respect and gratitude, we wish Nancy the best in her future work. Kudos to April Kesler: AST and ARC/STSA (Accreditation Review Council on Education in Surgical Technology and Surgical Assisting) invited April Kesler to participate in a two-day summit in Denver, Colorado fall of 2018. The summit will be a gathering of a select group of educators to develop a future course for surgical technology education and to work toward achieving a consensus in establishing attainable goals and overall direction to guide the future of surgical technology education. Congratulations to April on being selected!